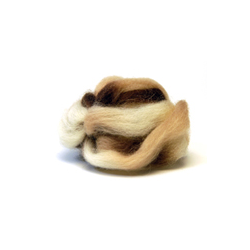 Character A space-dyed 100% wool top, drawn out to about a half inch in diameter. 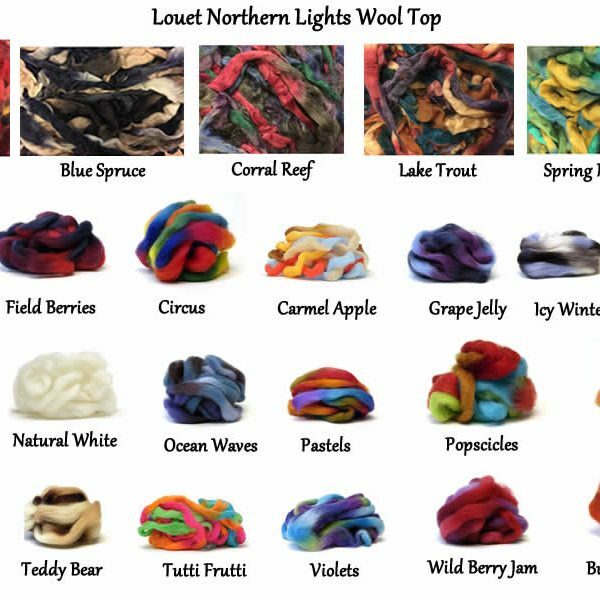 A pooled wool—a mix of many wool types that all have the same characteristics—it is comparable to our Corriedale. 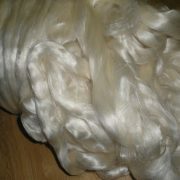 ½ pound put-up; top (combed); 28 microns; 4”–6” (10–15 cm) fiber length. 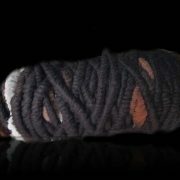 A space-dyed 100% wool top. A half-inch in diameter, Northern Lights’s thin, open preparation is a favorite of new and experienced spinners alike. Spindlers love it, too. 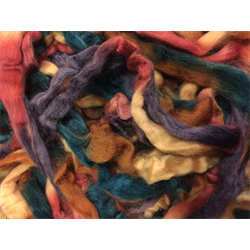 A pooled wool—a mix of many wool types that all have the same characteristics—it is comparable to our Corriedale. 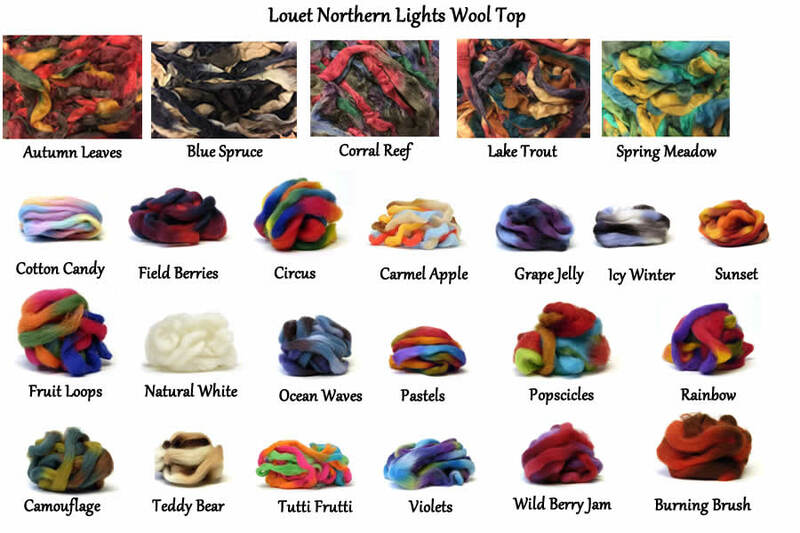 Northern Lights comes in 30 color combinations plus white. 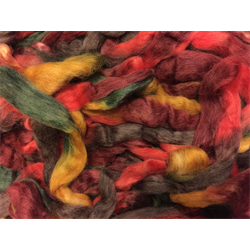 It has short 2”–3” color repeats that bring a blaze of color to your handspun and make it easy to create self-striping yarn. 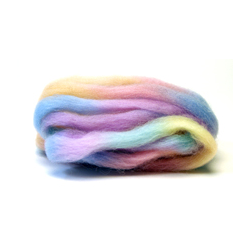 Some knitters skip spinning altogether and knit with the roving. 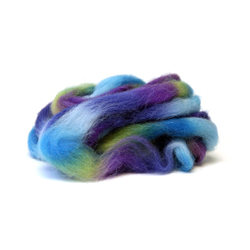 Needle and wet felters love this fiber for its beautiful colors and narrow diameter.